Representatives from the Peace House accept the EpicPromise Kids Grant Award from Deirdra Walsh (third from left), senior director of Mountain Dining and Nicky DeFord (fourth from left), director of community engagement with EpicPromise. The Peace House, a Park City nonprofit dedicated to preventing domestic violence and serving survivors of abuse, just got a boost in its donations in a decidedly democratic fashion. Park City Mountain Resort employees – around 2,500 in total – voted to decide which local nonprofit would receive Vail Resort’s EpicPromise Kids Grant Award. They selected The Peace House, which said the $5,000 grant will cover the costs of its children’s services. Peace House Executive Director Kendra Wyckoff said the value of the award, which was presented in addition to its regular annual EpicPromise grant, goes beyond the dollar amount. 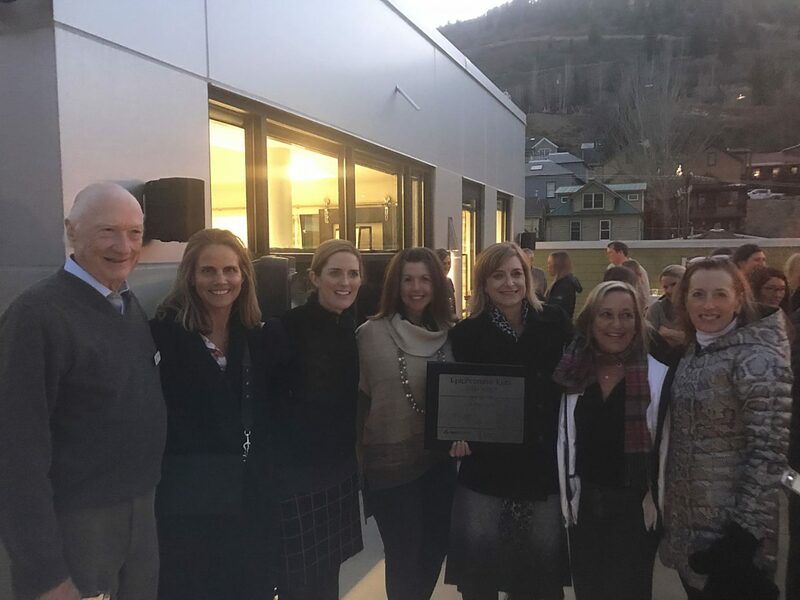 Last Friday, Dec. 1, at an event hosted at the Parkite on Main, the Park City Mountain owner announced its annual grants to 35 local nonprofits, satisfying three areas of need the company identified: healthy families, mental health and affordable housing. Nonprofits receiving assistance from the program include the People’s Health Clinic, which provides healthcare to uninsured patients, Mountainlands Community Housing, which tackles the area’s affordable housing shortage, and the Kimball Arts Center, which educates children on the arts. EpicPromise is a Vail Resorts foundation that aims to support nonprofits in the communities in which the company operates. 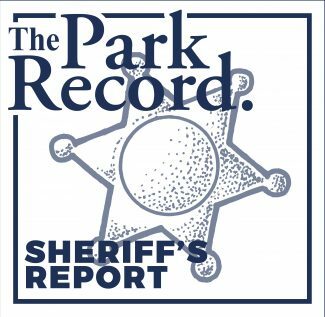 Nicky DeFord, director of community engagement at Vail Resorts, characterized the event itself as a “celebration” of area nonprofits and charitable causes. 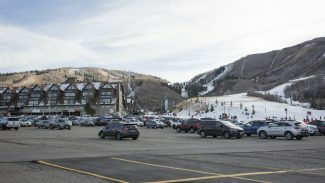 “It’s not just about Vail Resorts or Park City funding these organizations, it’s about that we’re all at the table together and having a conversation about, ‘What does the community need?’” DeFord said. The Colorado-based company said it’s pledging more than $2 million in grants and product donations to local nonprofits like the Peace House. 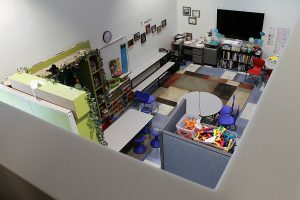 “It’s a big statement … in our effort to connect our employees to what the issues are in the community and the work that the nonprofits are doing,” DeFord said. Wyckoff said the Kids Grant Award will specifically go toward Peace House’s services for children, like one-on-one counseling and its domestic violence education and prevention program. 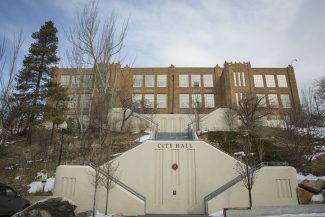 The prevention program is staffed by two full-time educators who teach a curriculum in Summit and Wasatch county schools aimed at ending the cycle of domestic violence. Topics covered include teen dating violence and internet safety, Wyckoff said. The therapy program identifies students who could benefit from therapy and refers them to the Peace House, where they receive counseling on a variable timeframe. The grant will help the Peace House continue its children’s services unhindered as it continues a capital campaign to fund its new campus. Located in Prospector at the moment, the Peace House plans to move to a new facility at Round Valley Drive. The organization broke ground on the campus this summer and will have prominent neighbors, being bordered by Park City Hospital, the People’s Health Clinic and U.S. Ski and Snowboard. The Peace House is a shelter serving survivors of domestic violence in Park City. More information can be found at http://www.peacehouse.org. The shelter maintains a 24-hour help line at 800-647-9161.